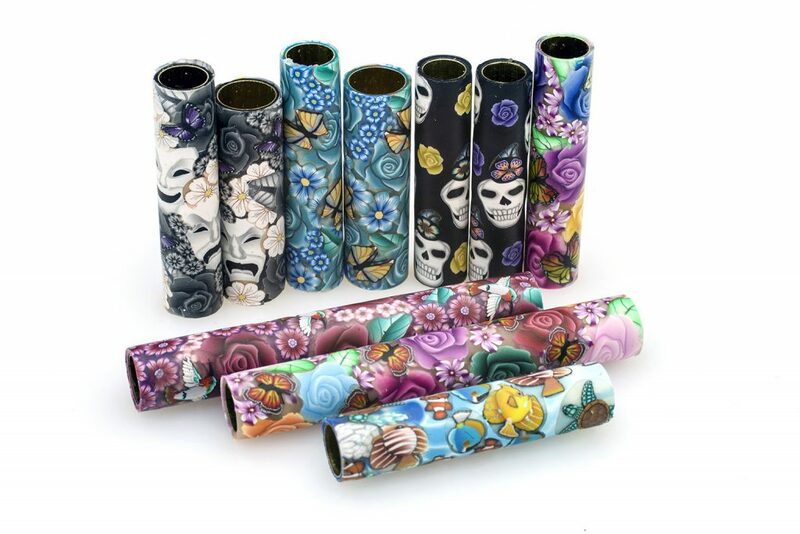 The highest quality Professional Polymer Clay Millefiori Pen Blanks in existence. Every Pen Blank is a one-of-a-kind work of art. Hand crafted by artist Toni Ransfield. 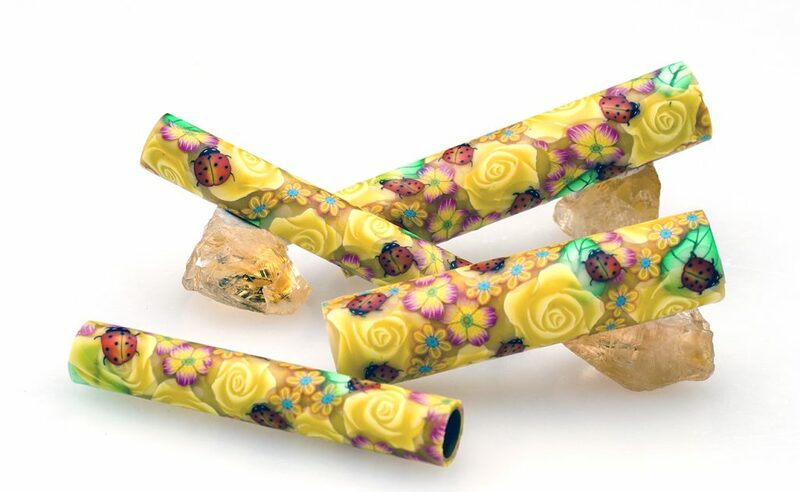 The millefiori pen blank is covered with Polymer Clay (sometimes known as ‘poly-clay’) that is cured, making them extremely durable. Each cane image; leaf, flower, butterfly, fish, bird, insect, drama mask, skull or other various assorted images is individual pieces that have been created and applied one slice at a time to make the finished pen blank. Millefiori (Italian: [milleˈfjoːri]) is a glasswork technique which produces distinctive decorative patterns on glassware. The term millefiori is a combination of the Italian words “mille” (thousand) and “fiori” (flowers). The millefiori technique has been applied to poly-clay and other materials. As the clay is quite pliable and does not need to be heated and reheated to fuse it, it is a much easier medium in which to produce millefiori patterns than glass. 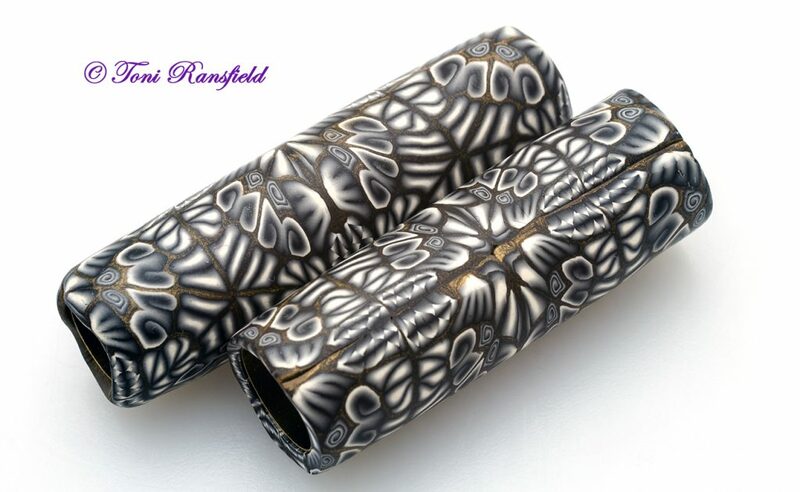 Now featuring Black and White Kaleidoscope pen blanks!!! How to customize your own pen blank. 1) Choose one of the products below. 3) Select a secondary image theme, i.e. butterfly, bird, dragonfly, etc. 4) Select the pen kit needed. 5) Add to your cart and checkout. If you do not see an option you wish then please click on the contact link and ask.